The Lord appointed other seventy also, and sent them two and two before his face into every city and place, whither he himself would come.…And into whatsoever house ye enter, first say, Peace be to this house. First, to save from sin. Second, to heal from all sickness. Third, to lead you into the way of holiness; to save you and yours body, soul, and spirit, both in this life and the one to come. Preachers everywhere say that the Lord will save you from sin, or at least from the consequences of it. Yet, when it comes to the ailments of the body or, in fact, anything at all that is tangible or subject to demonstrable proof of any kind, they stand aloof, if indeed, they do not openly deny it. Sometime, somewhere, somehow, in some indeterminate place or state at a future time, when and where nobody in creation can tell, God is ready to do something—nobody knows what or how—but as to any real vital ministry to present-day necessities, there is almost none of it. If Christianity is not a real, vital ministry to real, vital needs of today, it is not worth considering. But it is. And because we know that it is and that it is even more than we have claimed or can claim for it, we are vitally concerned to have all men everywhere made acquainted with it. We speak not only from the Word of God but from experimental knowledge. We have put it to the test—not once, not a hundred times, but scores of thousands. It is of daily occurrence. Just a list of the names of those who have received healing and other helps through the prayers of the members of this church would fill a good sized book. Here are a few of the cases. Mrs. Musselwhite, Goodenough Building: I was almost blind. My physicians said they could not help me; I would be blind. 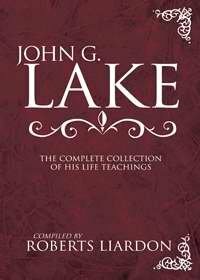 Dr. Lake ministered to me through prayer and the laying on of hands, and the Lord restored my sight and healed the disease, and I can see to read now. Praise God. Joseph Maplethorpe, foreman of Portland Woolen Mills, St. Johns, Oregon: I was stricken with very death. Sixteen doctors had given up my case. I was in the agonies of hell. Mine was not just a healing of disease. I was veritably raised from the dead. As prayer was offered, Jesus appeared to me and put His arms about me, saved my soul and healed my body. Miss Nelson, professional nurse: The aperture to my stomach began to close. My doctors did their best, but could not heal me. I was in a sanitarium for months. Then I came here through the influence of friends, and the blessed Lord healed me entirely. I am sound and well and working every day. Mrs. Copeland: I have just been healed of a terrible inward goiter that was strangling me to death. I desire to tender praise to God for my healing and to thank Dr. Lake and all the dear people of this church who prayed so earnestly for my healing. Mrs. Ida laVeres, 1610 Chautauqua Street: I suffered with appendicitis. My doctor ordered my room arranged for an operation and sent the ambulance for me. 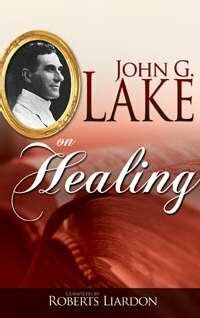 My nurse advised me to send for Dr. Lake, as she had herself been healed through prayer. He prayed; the Lord healed me. The ambulance came to the door, but I was healed and am in perfect health. And best of all, I found my Lord and Savior Jesus Christ, to me, both Savior and Healer evermore. Mrs. Herndon: I was born with a crooked back, almost a hunch back. I developed a tumor of the bladder when I was forty-six years old. I was instantly healed of this tumor when Dr. Lake prayed. My back snapped five times as hands were laid on me in prayer, and in one minute, I was straight as I am today. How I love to praise God for it all. These are only a few representative cases. We cite them not to show what hairsplitting doctrinal questions we might raise, but what is actually being accomplished in this day and generation in the city of Portland, and we can multiply them a thousand times. We believe in a gospel that can be demonstrated, and we prove it. This is what we are doing daily; going about among the poor and the lame and the halt and the blind, sin-stricken and disease-smitten, ministering God’s love and power, fulfilling once more the declaration of Jesus, concerning the mark and stamp of real Christianity: “The poor have the gospel preached to them” (Matthew 11:5). In my name shall they cast out devils; they shall speak with new tongues; they shall take up serpents; and if they drink any deadly thing, it shall not hurt them; they shall lay hands on the sick, and they shall recover.